What will happen to UK number plates after Brexit? A question for many, especially the owners of private and personalised number plates! In or out of the European Union, the likelihood is the British numberplate system would remain unique to our country, partly due to the government involvement in providing a primary market of previously un-issued personalised registrations both online and via regular DVLA auctions since 1989. This in-turn has provided a thriving secondary market with popular numbers where demand is high, changing hands frequently though Cherished number Agents & dealers like ourselves. The UK has seen many historical events and have been world leaders for hundreds of years, so ‘Brexit’ will certainly not affect the long established number plate system. The current system (current style format) is actually set to continue until 2050 some 31 years from now. Owners of some high value private number plates include MP’s, Royals and other influential British and foreign business people who are based here in the UK, so it is understood your private number plate investments will remain safe long into the future. 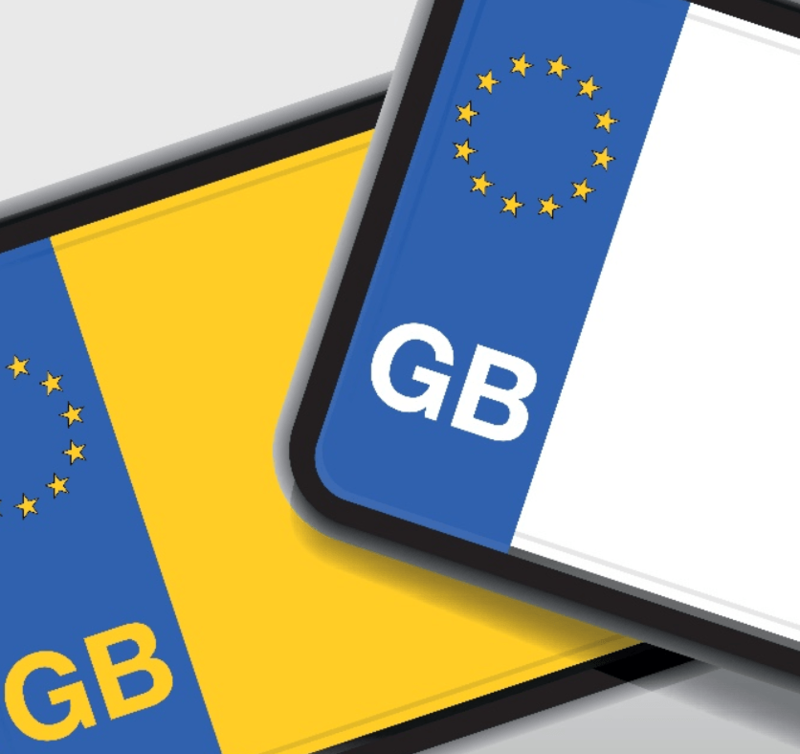 The only change that drivers may be required to make over time is to remove the GB Euro - EU flag/stars from your actual number plate attached to your vehicle. The approximate cost to buy actual perspex number plates is £25. Order Here.